Sceptics have long been convinced that HD stood for ‘Hardly Different’ TV, dismissing advances in camera technology as a ploy by manufacturers to force us to bring bigger and more expensive televisions and digital subscriptions into our homes. But if you want to see the real difference between 480 and 1080 pixels you can take a tour of Media lab (at the Atrium)’s new HDTV studios. After signing up to a free tour, I was among a mixture of TV professionals, freelancers and those who were just curious who explored the state of the art facility. While technical info such as the Sony HDC 1500 cameras (as used by BBC News apparently), fibre optic feeds and progressive scan capabilities went over my head, other members of the tour took the opportunity put the demonstrators’ knowledge to the test and some of the detailed information about green screens and vision mixers has hopefully sunk in. The highlight of the tour for me was getting some hands on time with the equipment, it’s not every day you get to play with kit that would make BBC producers jealous! Experiencing the difference between HD and standard quality images first hand-made me realise what all the fuss has been about and the way HDTV production forces everyone from camera operators to make-up artists and set designers to up their game. 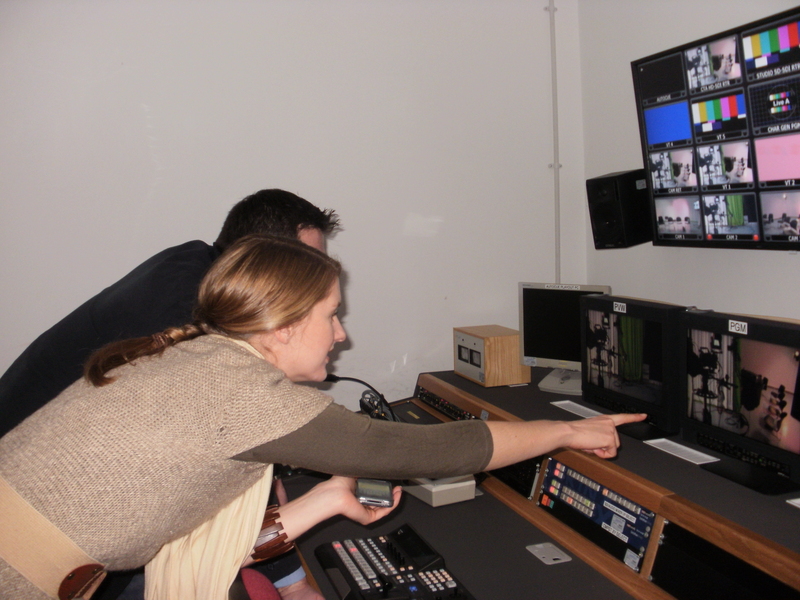 Atrium students use the studios to create broadcast standard programmes, including high pressure live news segments! Working on rotation between the different studio roles the students become well versed in all aspects of production. 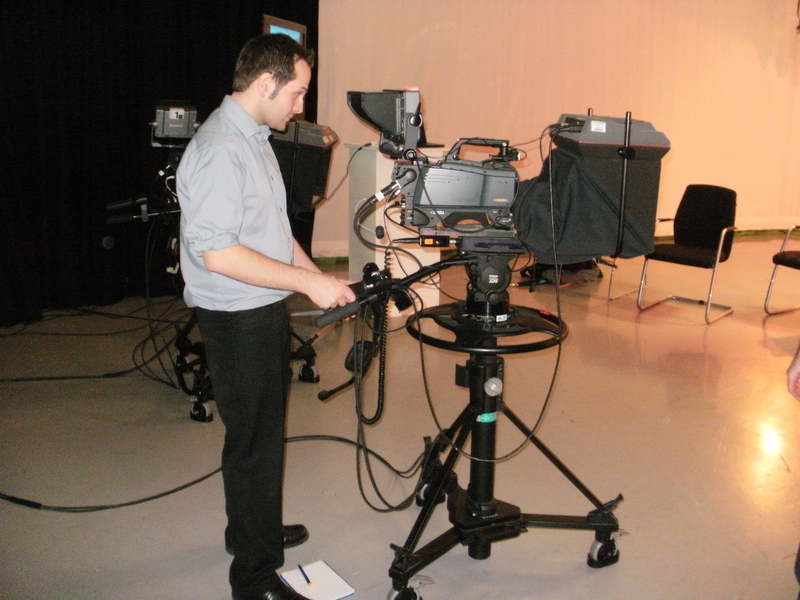 However, it’s not just students who have access to these studios and equipment, they are available to hire through medialab, providing an excellent facility for companies who are ready to make the leap into HD. The Atrium are offering regular interactive tours of the new studio until May.